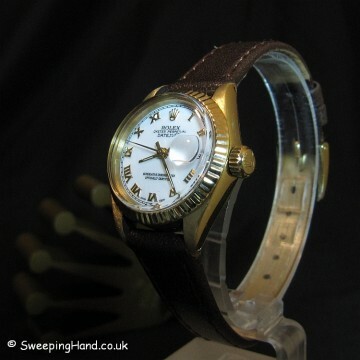 Here we have a very pretty solid gold vintage ladies datejust watch for sale. 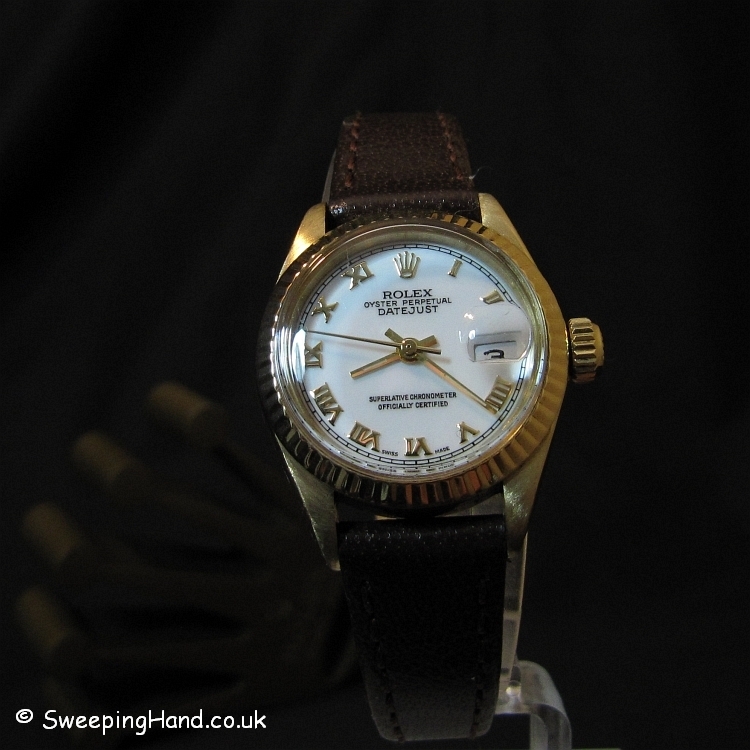 A 1973 Rolex still in beautiful condition with all serial numbers and case engravings clear. 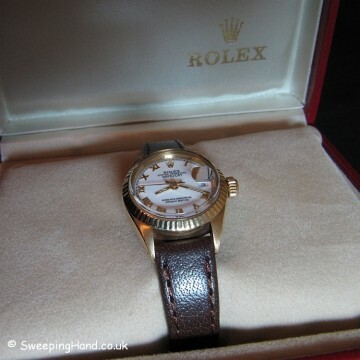 With a solid gold case in very good condition with nice lugs and gold insignia the watch is complemented by a brown leather strap. Solid gold 18k fluted bezel and crown sit above a very clean white dial with gold roman numerals. 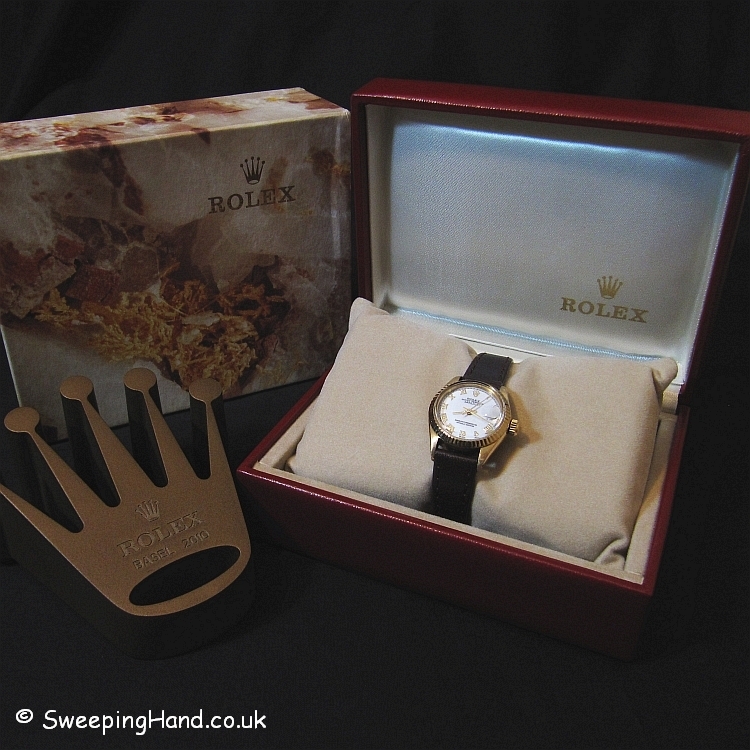 The watch comes with a vintage ladies Rolex red leather inner and outer presentation box. No paperwork but guaranteed 100% genuine Rolex and keeping good time. About as cheap as you will ever get for an 18k ladies Rolex Datejust watch. 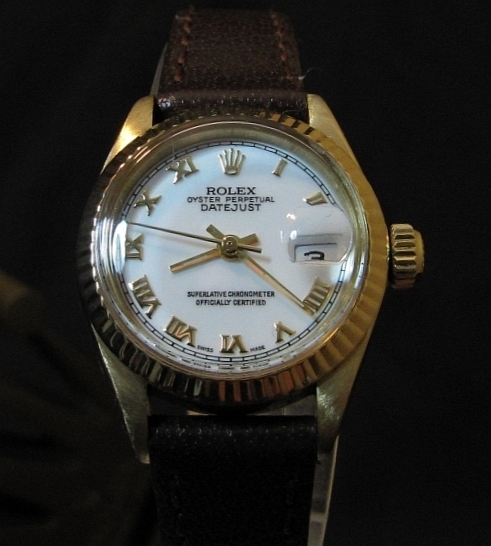 Dial & Hands: Very clean white dial with gold roman numerals and matching gold hands. 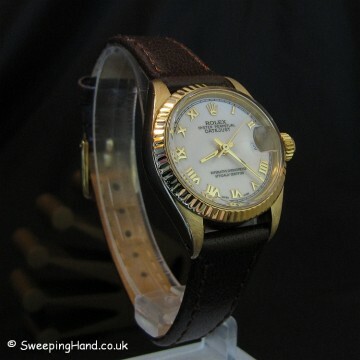 Bracelet: Comes on a new dark brown leather strap. Movement: Automatic chronometer movement keeping good time. Emma sent you an email.